Is there anyone here who would like my copy of this DVD? What a kind and generous offer - if no one else would like this, then I certainly would be interested Lester. Shall I PM you with my address, if that's OK? Ibanez's AF range of archtops all use the same shape. 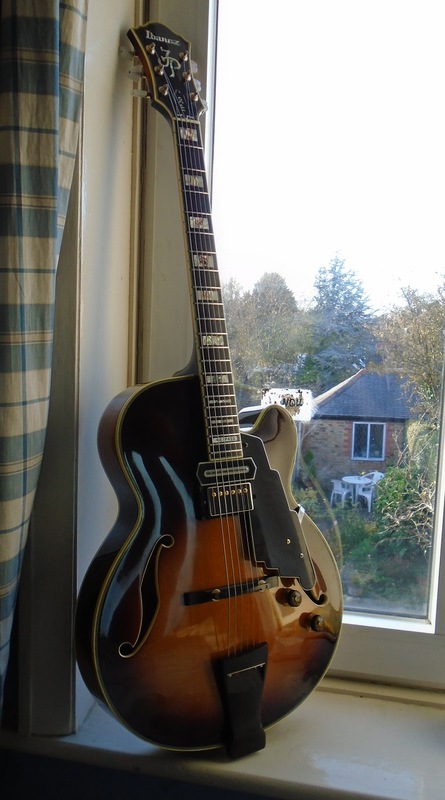 And also (since a friend has one) I've been able to compare my JP20 to the Epiphone Joe Pass model, and that has the exact same shape and dimensions as well! All stemming from Joe D'Aquisto's original design, and I don't think he ever got paid anything from either Ibanez or Epiphone, so had every right to be a bit miffed really. Just an interesting aside anyhow. Sure, give an address for me to send it to via a PM. I will post it on Monday and it should take about a week to get to you. PM sent, and thank you again Lester! 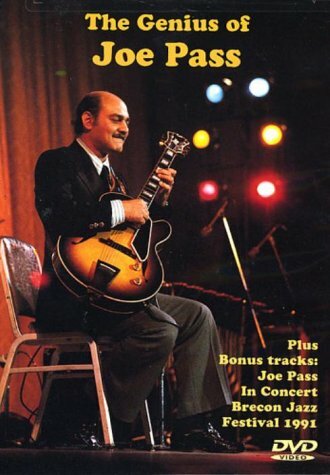 Joe Pass played one of the greatest two solos I've ever heard. It was during a gig he played whilst backing Ella Fitzgerald. Can't recall the song, just remember the solo being so darn good. The other solo in my top two was played by Ry Cooder. When I was a bit too young to really appreciate who I was being taken to see, a friend took me to a Joe Pass concert and one by Oscar Peterson. Amazing players. I’m willing to bet something awesome went in and stayed there. I had something similar when I saw Art Blakey. I should have been old enough by then (mid/late teens) to appreciate it. I loved it, but I'm not sure I appreciated it as I should have done. I recall when Art introduced the band the players were from all around the US - New York, California, New Orleans - and I wonder now if the New Orleans guys might have been a couple of the Marsalis brothers? They were in the Jazz Messengers back then, I'm sure.